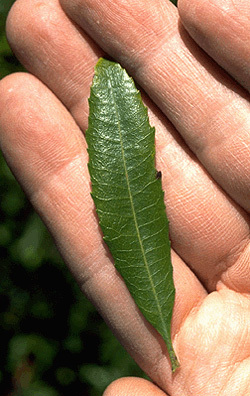 Leaf:Alternate, simple, persistent, narrow (2 to 4 inches long and 1/2 to 3/4 inches wide), margins sparsely toothed and revolute except near the base, dark green and smooth above and paler below, bottom surface has minute black spots. 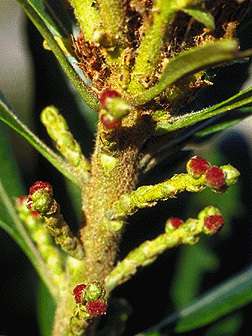 Flower:Species is monoecious; with separate male and female catkins borne in the leaf axils; both aments 1/2 to 1 inch long. 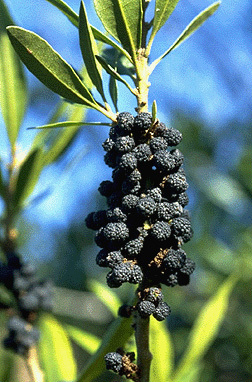 Fruit:Small, round, waxy drupes (1/16 inch in diameter), dark purple to light gray, usually borne in small, tight clusters. 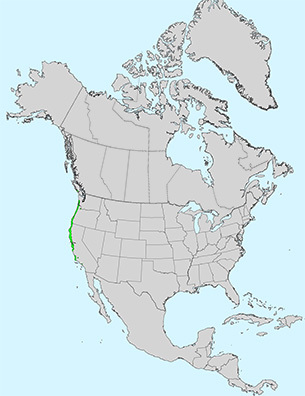 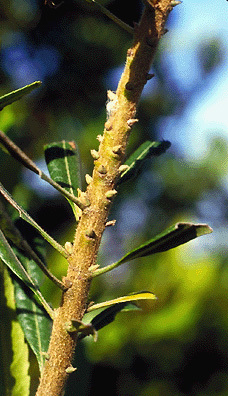 Twig:Moderately stout; young twigs are dark green, pubescent, and slightly ridged; older twigs are round and brown to gray. 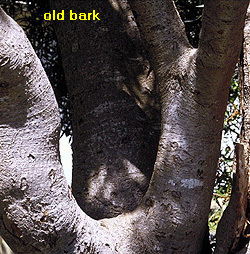 Bark:Thin, gray to brown, and often covered with white patches. 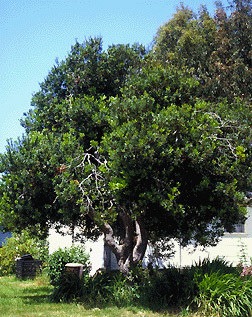 Form:A large evergreen shrub or small tree (up to 40 feet tall and 1 foot in diameter).